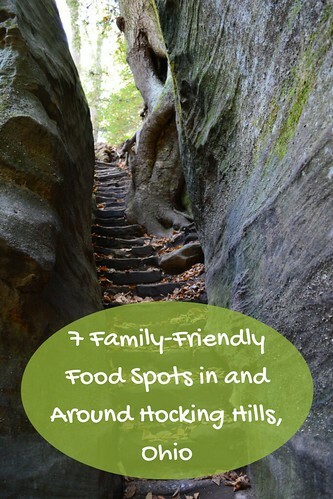 Hocking Hills feels hidden, tucked away. 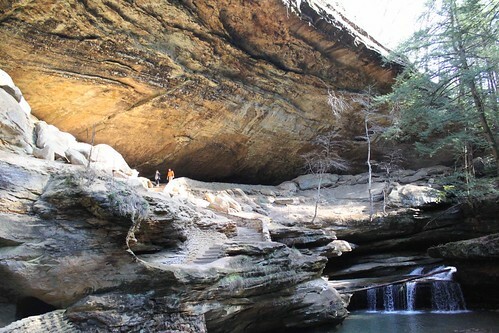 You could easily drive right past Hocking Hills on U.S. 33 going southeast between Columbus, Ohio, and West Virginia’s state border without thinking there’s much to see. The rolling hills reveal little of what’s waiting inside. Dotted in the twisting roads that make up the northern fingers of the Ohio Appalachia lie 6 state parks with entirely different formations. The most popular, Old Man’s Cave, feels like you’ve walked into a movie set for Raiders of the Lost Ark. The towering rock structure has stone tunnels and steps and even a bridge of pyramid-shaped, car-sized rocks rising up from a stream along the path to its entrance. 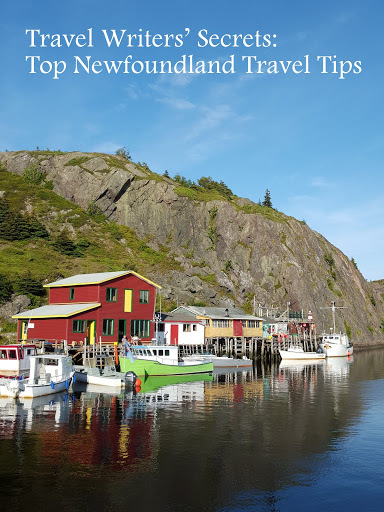 If you visit, you really should try to make it to as many of the parks as you can – although it’s tough to leave one for another – there’s just so much to see, and outcroppings and crevices to explore. And the sites look different each time you come, as the diverse vegetation in the area is in near-constant flux. As with the state parks, finding good places to eat in the hills takes a bit of detective work, too. I have noticed that my GPS works better in the hills than it once did (and I must admit I’m a little disappointed to see Siri encroaching on my WiFi-less wonderland). Not too long ago, I was on my own quite literally with finding my way around – the map of the area spread over the steering column. 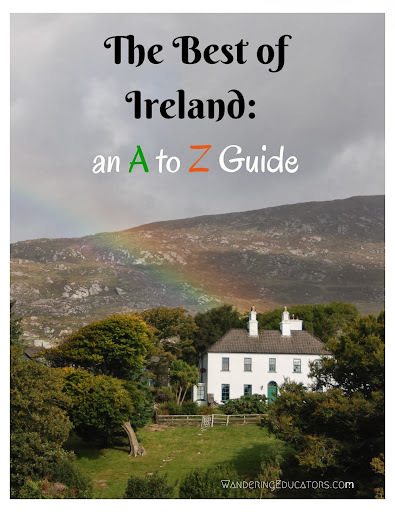 Whether you find them by map or with a little digital help – here are some hidden gems within the Hills that are worth a visit. The aptly named Inn & Spa at Cedar Falls lies just down the road from one of the 6 state park sites. The 50-foot Cedar Falls dances over a rock face and feeds a stream that you’ll follow as you trek toward the waterfall. 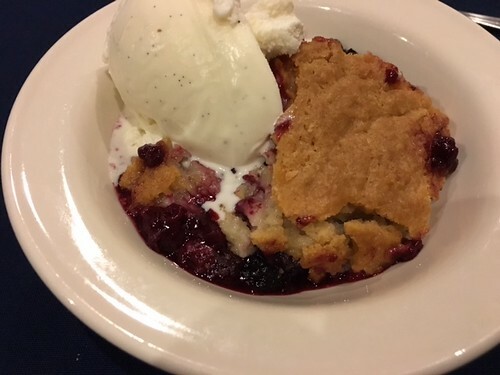 You’ll need to reserve your spot for dinner at the Inn’s restaurant that’s limited since it’s housed in a carefully crafted update of the original 1840s cabin. 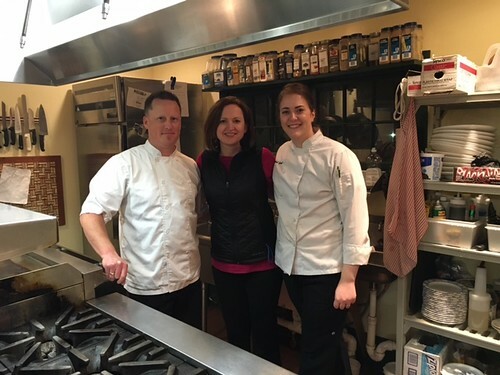 Executive Chef, Anthony Schulz, and sous chef, Abby Cole, try to rely as much as possible on local products, but pair those with some of their favorite ingredients, which is why you’ll find several fish dishes on the menu. When I arrived at the circa 1840s Inn, Cole rolling out the lavender-laced gnocchi so of course I knew that had to be my meal later. The pillowy pasta soaked in the lavender’s soothing flavor was bathed in a honey-butter sauce. 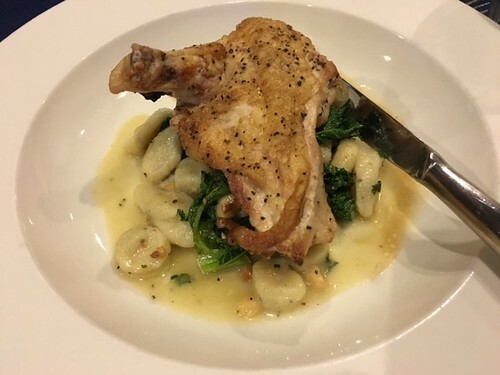 Frankly, the chicken that sat atop the gnocchi was more of a distraction. I could have downed a whole bowl of the gnocchi. If you’ve never had burnt ends, Millstone BBQ is the place to try them. Burnt ends are the marbled corner piece from smoked brisket. Considered a delicacy by barbecue buffs, burnt ends are prized for their flavorful char – also called bark – which is one reason they’re usually left plain with barbecue sauce on the side. 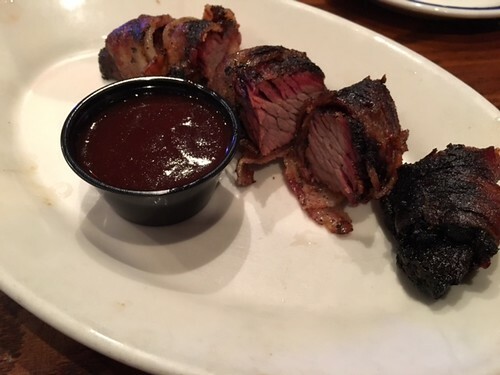 Millstone adds their own twist – literally – wrapping the smoked burnt end pieces in bacon and then smoking them again. Yes, bacon. Yes, doubled smoked. While the bacon-wrapped burnt ends are an appetizer I like to have those as my meal with a side salad. 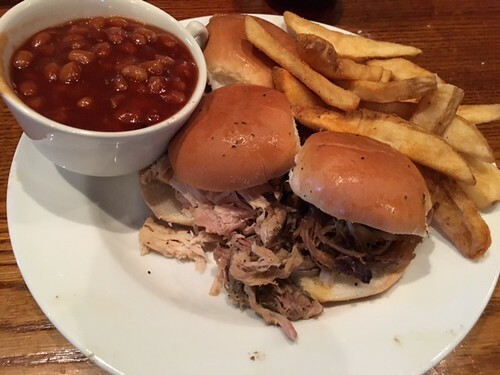 But you can’t go wrong by getting the Texas Trio where you can take your pick of 3 sliders and then include your choice of meats. Millstone is right off the highway and across the street from the Hocking Hills Welcome center. Make sure to stop in there for area maps and a quick visit to the world’s only pencil sharpener museum on display in a little house next to the center. 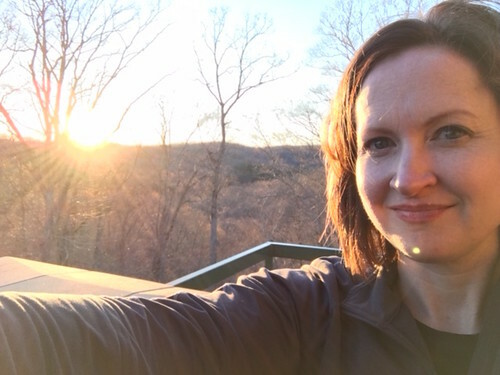 I’ll admit I had pretty low expectations when I went to Lake Hope Lodge for dinner – I’d gone for the view. Perched above Lake Hope, the lodge’s views are some of the best in the area. I’d love to see it in the fall. Entering the understated lodge, the wafts of hickory smoke are pleasantly overwhelming. And once I smelled the smoke, I knew I had to get the brisket, my gold standard for barbecue. Of course, I had to ask about the smoker. Eric Lee, who runs the lodge with his business partner Matt Papposelli, says they had the 12,000-pound, wood-fired smoker before the restaurant. Barbecue is a labor of love for both. In season, the lodge smokes around 800 pounds of brisket a week. Thank goodness. I prefer brisket without too much visible fat that holds its shape without becoming too dry. This met everything on my checklist. I was pleasantly surprised that my grilled veggies that I had along with the meat was seasoned just as carefully as the smoked brisket. Known for its smoked meats, the lodge also garners praise for its meatloaf-sized s’mores constructed with homemade graham crackers and marshmallows. 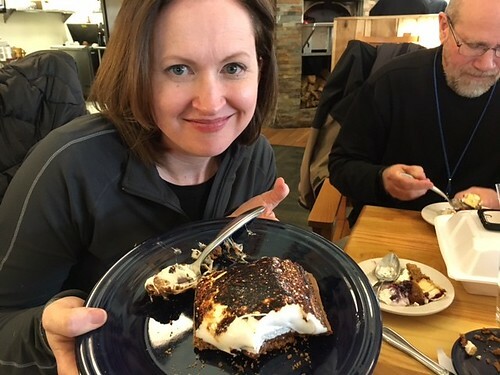 I’m still stumped about how to eat it – I embraced the mess and welcomed the sticky fingers that came as I ate the s’more. 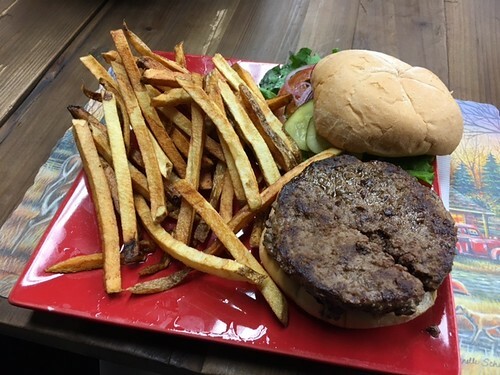 At the back of the Rocky Boots Outlet store in nearby Nelsonville, the menu item of choice is the Bison burger. 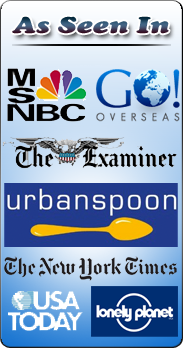 I paired it with the fairly basic salad bar and noted that the bison was marked as one of the healthy entrees. High in protein but low in fat, bison is a great alternative to red meat, if like me you’re not much of a hamburger fan but you still find yourself craving one on occasion. The laidback Boot Factory Grill was full of locals and it appeared people who come from area communities for the bare-bones prices on sturdy outdoor gear. Winding through the hills, The Ridge Inn Restaurant’s tagline reads, “Where fine dining meets home cooking.” It’s the kind of place where you really should order the meatloaf, but they don’t shy away from having lighter fare like Hippy Hash – a vegetable concoction that actually made kale taste good (really). You’ll need some of that kale to balance out your dessert. The donuts. At the Ridge Inn they consider donuts a dessert item. 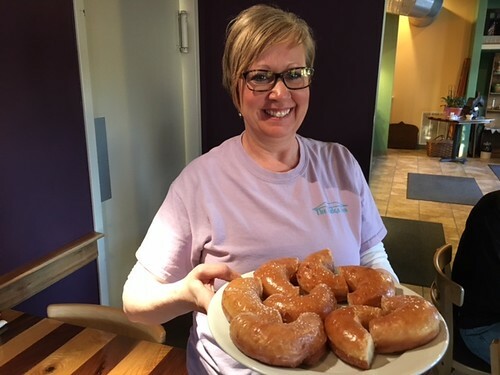 They serve the airy glazed donuts simply – letting the moist texture and lightly sweetened glaze speak for itself. I promised myself when I ordered donuts I’d only eat just a bite. Or two. You guessed it, I ate the whole thing. And wished I had another. 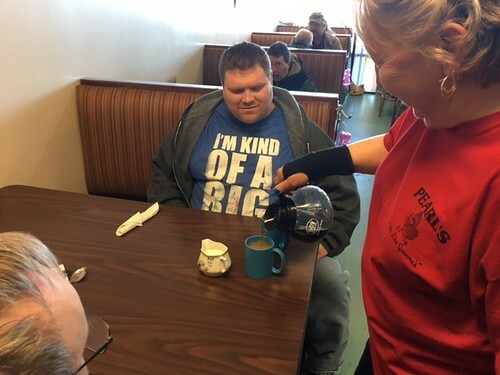 At Pearl's Diner, you’re likely to notice the wait staff greet those who come in the door by their first name. Sandy Watrus, who served our table, was the namesake’s daughter. 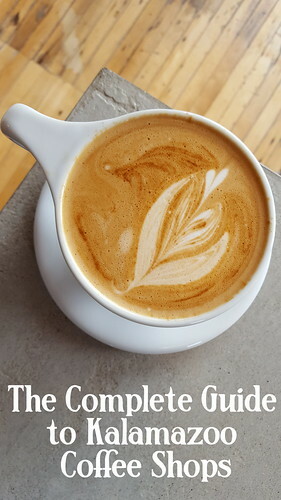 She had a story to go with seemingly every menu item and she shared those as she went from table to table making sure no coffee cup went empty. If you go, whatever you do, please order the biscuits. 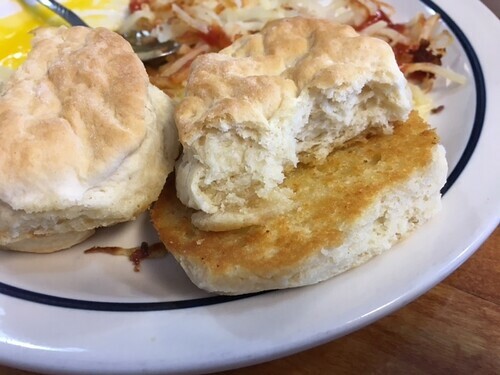 At Pearl’s, the flaky biscuits are cut in half, buttered, and then grilled before they come warm on your plate. Another suggestion? Go for the corn cake over regular pancakes and ask for blueberries in them. 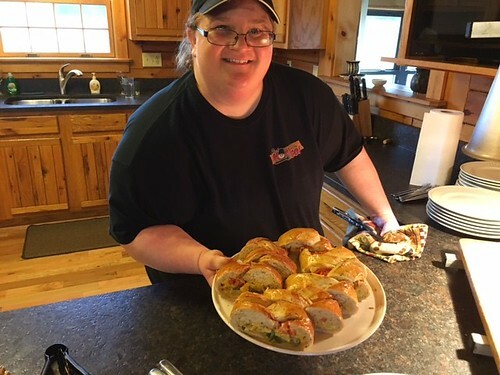 Dividing her time between her home base of Columbus and stints in Hocking Hills, you’re likely to see Chef Moe’s food truck at area events. You can check out her Facebook page for exact locations. I’d highly recommend Chef Moe’s Strawberry Salad with fresh greens, feta, strawberries, pecans, cucumbers, and a homemade strawberry vinaigrette. That said, if there are any pastries available from the truck, get one. In Chef Moe’s words, “Food is love and butter is a kiss.” Exactly.